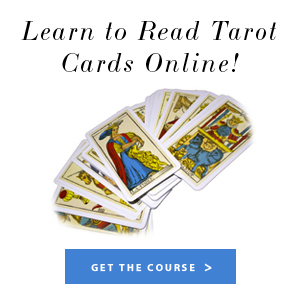 LEARN TO READ TAROT CARDS IN 30 DAYS! Today I want to challenge you to try a 30-day challenge, that can help you achieve this connection with the Universe. There are so many ways to get started with Tarot, you can buy a physical deck one that appeals to you. It’s usually best to start with the best standard Rider Waite deck until you get comfortable with the many styles of decks on the market. You can also download the Rider Waite app to your phone or device, for learning purposes, which also has a Card of the Day option. In addition, there are a multitude of websites that help you learn what Tarot is about. Formal classes are also available everywhere should you choose, just check with others who have taken these classes. There are those who still teach fear, in regards to Tarot. 1:: Pick up a deck, an app or whatever method and go through each card at your leisure. 2:: Do not add any value to the card other than to just learn the meaning of the card. 3:: Look at the graphics of the card and compare the meaning. 4:: Pick a day to start and every evening, when your day is about over and you are ready just relax and chill in your sacred space, draw a card. 5:: Pay no attention to whether the card is upside down or reversed (something for later). 6:: Place the card in front of you and just check out the graphics, soak it in. 7:: Next read the meaning of the card and compare to how your day has gone. 8:: See how many events in your day match the actual meaning and what the card means for you. This method of comparison will allow you to learn the cards over 30 days without predicting your own future. It is amazing how many events within your day will relate to the card drawn. Try this for 30 days and let the cards enter your energy in a positive way. This is one of the best ways to be comfortable with Tarot. And no matter your belief’s you will not need to fear going to Hell, you are only choosing one card a day to see how your day went! Let me know how this goes.